INSTM researchers participated in the an special event with high school students at University of Messina (May 7th-18th 2018), where they met over 250 students to foster their interest in Chemistry. During this event, the students participated in multiple experiments related to electrochemistry for a sustainable production of energy. 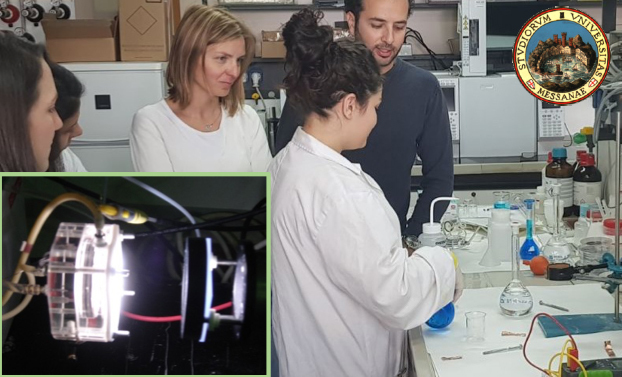 Concepts such as light harvesting, water photo-electrolysis and solar-to-chemical energy conversion were discussed through many examples and experimental demonstrations by using basic electrochemical cells and more complex photo-electrocatalytic devices. 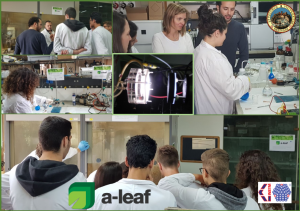 Obviously, our A-LEAF project was one of the main attractions during these demonstrations, highlighting A-LEAF main scope and aims for the realization of an artificial leaf. We thank our INSTM partners for this great outreach initiative bringing our project and mission to such a young audience! Well done!